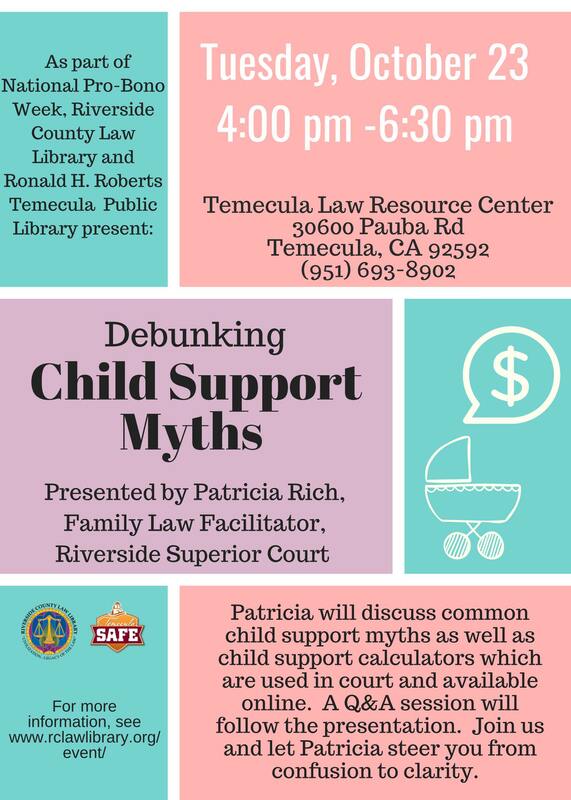 As part of National Pro-Bono Week, Riverside County Law Library and Ronald H. Roberts Temecula Public Library present: Debunking Child Support Myths. Presented by Patricia Rich, Family Law Facilitator, Riverside Superior Court. Patricia will discuss common child support myths as well as child support calculators which are used in court and available online. A Q&A session will follow the presentation. Join us and let Patricia steer you from confusion to clarity.